The amount of 5 USD has been withdrawn from your account. Accounts: U4222871->U2607700. Memo: Shopping Cart Payment. Deposit to hourhighyield.com User nelomota.. Date: 15:39 09.04.19. Batch: 255039600. The amount of 1.1 USD has been deposited to your account. Accounts: U4012052->U4222871. Memo: API Payment. Withdraw to nelomota from hourhighyield.com.. Date: 10:13 10.04.19. Batch: 255152496. The amount of 0.64 USD has been deposited to your account. Accounts: U4012052->U4222871. Memo: API Payment. 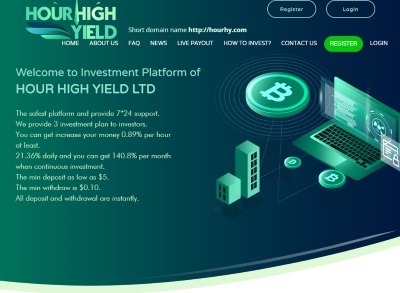 Withdraw to nelomota from hourhighyield.com.. Date: 21:27 10.04.19. Batch: 255254945. The amount of 5 USD has been withdrawn from your account. Accounts: U4222871->U2607700. Memo: Shopping Cart Payment. Deposit to hourhighyield.com User nelomota.. Date: 11:04 11.04.19. Batch: 255321518. The amount of 0.62 USD has been deposited to your account. Accounts: U4012052->U4222871. Memo: API Payment. Withdraw to nelomota from hourhighyield.com.. Date: 11:03 11.04.19. Batch: 255321450. The amount of 0.98 USD has been deposited to your account. Accounts: U4012052->U4222871. Memo: API Payment. Withdraw to nelomota from hourhighyield.com.. Date: 22:08 11.04.19. Batch: 255417355. The amount of 1.71 USD has been deposited to your account. Accounts: U4012052->U4222871. Memo: API Payment. Withdraw to nelomota from hourhighyield.com.. Date: 11:03 12.04.19. Batch: 255483143. The amount of 0.62 USD has been deposited to your account. Accounts: U4012052->U4222871. Memo: API Payment. Withdraw to nelomota from hourhighyield.com.. Date: 18:04 12.04.19. Batch: 255556581. The amount of 1.47 USD has been deposited to your account. Accounts: U4012052->U4222871. Memo: API Payment. Withdraw to nelomota from hourhighyield.com.. Date: 10:27 13.04.19. Batch: 255628726. The amount of 2.18 USD has been deposited to your account. Accounts: U4012052->U4222871. Memo: API Payment. Withdraw to nelomota from hourhighyield.com.. Date: 11:00 14.04.19. Batch: 255755192. The amount of 5 USD has been withdrawn from your account. Accounts: U4222871->U2607700. Memo: Shopping Cart Payment. Deposit to hourhighyield.com User nelomota.. Date: 11:17 15.04.19. Batch: 255888276. The amount of 2.24 USD has been deposited to your account. Accounts: U4012052->U4222871. Memo: API Payment. Withdraw to nelomota from hourhighyield.com.. Date: 11:16 15.04.19. Batch: 255888063. The amount of 5 USD has been withdrawn from your account. Accounts: U4222871->U2607700. Memo: Shopping Cart Payment. Deposit to hourhighyield.com User nelomota.. Date: 11:08 17.04.19. Batch: 256228480. The amount of 1.72 USD has been deposited to your account. Accounts: U4012052->U4222871. Memo: API Payment. Withdraw to nelomota from hourhighyield.com.. Date: 11:05 17.04.19. Batch: 256228060. The amount of 1.51 USD has been deposited to your account. Accounts: U4012052->U4222871. Memo: API Payment. Withdraw to nelomota from hourhighyield.com.. Date: 13:03 19.04.19. Batch: 256562651. The amount of 2.47 USD has been deposited to your account. Accounts: U4012052->U4222871. Memo: API Payment. Withdraw to nelomota from hourhighyield.com.. Date: 09:48 20.04.19. Batch: 256679660. The amount of 1.35 USD has been deposited to your account. Accounts: U4012052->U4222871. Memo: API Payment. Withdraw to nelomota from hourhighyield.com.. Date: 11:04 21.04.19. Batch: 256793753. The amount of 1.22 USD has been deposited to your account. Accounts: U4012052->U4222871. Memo: API Payment. Withdraw to nelomota from hourhighyield.com.. Date: 10:45 22.04.19. Batch: 256903856. The amount of 0.8 USD has been deposited to your account. Accounts: U4012052->U4222871. Memo: API Payment. Withdraw to nelomota from hourhighyield.com.. Date: 11:18 23.04.19. Batch: 257065575. The amount of 0.15 USD has been deposited to your account. Accounts: U4012052->U4222871. Memo: API Payment. Withdraw to nelomota from hourhighyield.com.. Date: 11:12 24.04.19. Batch: 257226336. The amount of 5 USD has been withdrawn from your account. Accounts: U4222871->U2607700. Memo: Shopping Cart Payment. Deposit to hourhighyield.com User nelomota.. Date: 10:45 25.04.19. Batch: 257381854. The amount of 0.9 USD has been deposited to your account. Accounts: U4012052->U4222871. Memo: API Payment. Withdraw to nelomota from hourhighyield.com.. Date: 10:44 25.04.19. Batch: 257381668.